"In today's world, investing well means knowing how to deal with the unexpected! Modern economies are repeatedly exposed to major ups and downs – which can be a source of risk, but also opportunity. Our view is that finance, and asset management in particular, must offer solutions suited to each client's needs. We work on this each and every day by listening carefully to your requests. One of our objectives is to help you confidently navigate stock market cycles with lucidity, agility and flexibility. Dorval Asset Management offers a responsive team of men and women who are true experts in the financial markets and who have proven their strength during the crises. Our diverse team is characterised by healthy competition, open-mindedness and freedom of thought – all essential components of high-quality asset management. "If you're looking for peace of mind in a complex world, then join our community!" We are also a company of entrepreneurs serving other entrepreneurs. We never forget that, in daily life, peace of mind is an essential component of performance and consistent success. As professionals, we have developed a distinctive vision for our business: reconciling macro-economic and micro-economic approaches. We analyse structural and cyclical changes in the economy (and discuss with world-renowned economists and specialists). We also visit companies to monitor data in the field. Lastly, we pay special attention to the valuation of the companies in which we invest so that we can protect and grow the assets we manage for our clients. This in-depth analysis of the economy, combined with robust methods and owner investment processes, allows us to anticipate major underlying trends and react swiftly to the turbulences of today's world. We therefore continually take market changes into consideration and adjust our portfolios accordingly. Agility, vision, lucidity and transparency are the values that make up our DNA and allow us to offer peace of mind to our clients. The men and women on our team inspire trust and keep their promises – that's why our clients choose us. If you're looking for peace of mind in a complex world, then join our community and enjoy a lucid, agile and flexible experience in the financial markets!" The Dorval Manageurs portfolio management team, Stéphane Furet and Louis Bert, won first prize in the “Best Fund Manager Equities – France” over 3 years category for the third year in a row. Gestion de Fortune magazine has been organising the Globes de la Gestion awards for the past four years, bringing together key companies in the asset management industry, singling out investment managers who stage the most regular performances over recent years, and also sharing and discussing the outlook for the stockmarkets and investments to focus on. For the past fifteen years, Investir media has carried out the « Champions de la Bourse » ranking covering three-time horizons: three, five and ten years. Tuesday 19 June, the 2018 « Champions de la Bourse » ceremony was held awarding eight Prizes for listed companies and three Prizes for asset management. 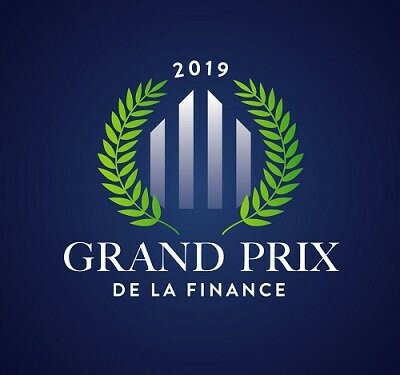 Grand Prix de la Finance awards aim to select the funds to focus on in 2019. A committee of 50 experts representing the investment industry – institutional investors, financial advisors, private banks, multi-managers and web platforms – met four times during 2018 to pick the three funds to watch across each asset class in 2019. Each expert’s choice counts for one vote. François Auvillain (Finindep), Dominique Axelroud (Finance Consultants), Meyer Azogui (Cyrus Conseil), Hélène Barraud-Ousset (Centre du Patrimoine), Pascale Baussant (Baussant Conseil), Cyril Bergé (Clay AM), Christine Bergis (Financière de Beausobre), Frédéric Blanchemain (Blanchemain Bourgeois), Jean-Pierre Bosson (JP Bosson Management), Frédéric Bost (Financière Arbevel), Jean-Marc Brouillard (Cardif), Aurélia Caruso (Scala Patrimoine), Anice Chlagou (Letus Private Office), Béatrice Coquelin (Covéa Finance), Jean-Christophe Cotta (Allocation & Sélection), Régis d’Indy (Droit d'Indy Conseils), Bénédicte de Bouillane (Intuitae), Benoit de Brie (DNCA), Jean-Yves de Louvigny (Famility), Dominique de Préneuf (Association Française de Gestion), Antoine Delon (Linxea), Nicolas Demoro (Epargne Privée), Claude-Bruno Derriey (Highlight Family Office), Gérard Fétizon (UBS - La Maison de Gestion), Charlotte Galané (Montségur Finance), Patrick Ganansia (Herez), Bertrand Granier (Rothschild & Co AM), Gérald Grant (Edmond de Rothschild AM), Stanislas Guerin (Agami Family Office), Frederick Haskell (Haskell Patrimoine), Clément Jorez (Altheo Partners), François Jubin (WiséAM), David Kalfon (Sanso IS), Gwenola Le Maire (Euodia), Roselyne Lebas (Ehler Patrimoine), François-Xavier Legendre (Dauphine patrimoine), Alexandre Lepere (Generali Investments), Bertrand Merveille (La Financière de l'Echiquier), Géraldine Métifeux (Alter Egale), Emmanuel Narrat (Haussmann Patrimoine), Nicolas Nicaise (Culture Patrimoine), Alain Piquemal (Cabinet Alain Piquemal), David Plais (Talleyrand Finances), Sébastien Serre (Family Patrimoine), Jean-Marie Soubrier (Montrachet Finance & Patrimoine), Christophe Thiboult (Lazuli Conseil), Jacques Tord (Cabinet Jacques Tord), Stéphane Van Huffel (Netinvestissement.fr), Sandrine Vincelot-Guiet (Vega IM), Nicolas Walther (Auris Gestion). La cérémonie s’est déroulée le 18 septembre 2018 à Paris. Liquidity risk represents the fall in price which the fund may potentially have to accept in order to sell certain assets for which there is insufficient demand in the market. The 2018 edition took place on Wednesday September 12, and awarded prizes to three fund managers in the magazine’s 15 awards categories. Natixis Investment Managers’ affiliate Dorval Asset Management ranks third in the French equities category with its Dorval Manageurs fund (Isin code: FR0010158048). Stéphane Furet, CEO of Dorval AM, states: “We are delighted to receive this award for our French equity investment management. This distinction testifies to the sound management performances for our Dorval Manageurs fund, but also reflects the long-term management of the fund, which has outperformed while also weathering severe market declines over the past five years”. Louis Bert, Deputy CEO and Chief Investment Officer at Dorval AM, adds: “In just over a decade, our portfolio management team has firmly established our brand and asserted our leadership on equity funds in France. I am thrilled to see that investment industry gold standard Gestion de Fortune magazine has again applauded our positioning over a long period, providing confirmation of our ability to enhance the value of wealth entrusted to our teams”. Louis Bert, Deputy Chief Executive Officer in charge of the management of Dorval AM, adds: « In little more than a decade, our management team has established its brand, and asserted its leadership in equity management in France. I am happy that our positioning is once more rewarded over a long period, proving our capacity to increase the wealth entrusted to our teams by our institutional and private clients». The fund Dorval Manageurs R over a period of three years (from 31/05/2015 to 31/05/2018) has delivered a performance of 34.1% or 10.3% annualized, significantly outperforming its reference indicator the CAC 40 dividends reinvested index (CAC40 DNR performance 15.9% or 5 % annualized) thanks to actively managing investment themes and to identifying the best managers-companies pairings. Dorval Asset Management – an affiliate of Natixis Investment Managers – has just won multiple awards at the “Lipper Fund Awards France 2018” which honors the best funds and investment management companies in France. Lipper, a fund analysis company, subsidiary of Thomson Reuters, has over the past 30 years designated the best funds and investment professionals according to a proprietary methodology. The “Thomson Reuters Lipper Fund Awards” distinguish, in more than 20 countries, the funds and management companies which have recorded the best performances adjusted to risk compared to their peers on a period of 3, 5 or 10 years. 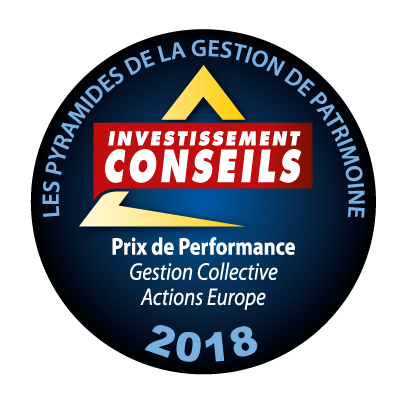 Dorval Asset Management, an affiliate of Natixis Investment Managers, has been awarded the Performance Prize for its fund Dorval Manageurs Europe, in the category «Collective asset management Equities Europe», during the Pyramids of Private Asset Management ceremony awarded by the magazine Investissement Conseils on Tuesday 13th March 2018 in Paris. Dorval Asset Management - an affiliate of Natixis Investment Managers - has been awarded best European management company in the category of 8-15 funds graded for the 2ème consecutive year, during the 12th edition of the European Funds Trophy 2018 awarded by Fundclass and a group of European media. The ceremony, presided by Mr. Pierre Gramegna, Luxembourg finance Minister, took place on 8th March 2018 at the Automobile Club de France. Dorval Manageurs fund won first place in the category “UCITS France Performance prize” over five years through 31/12/2016. 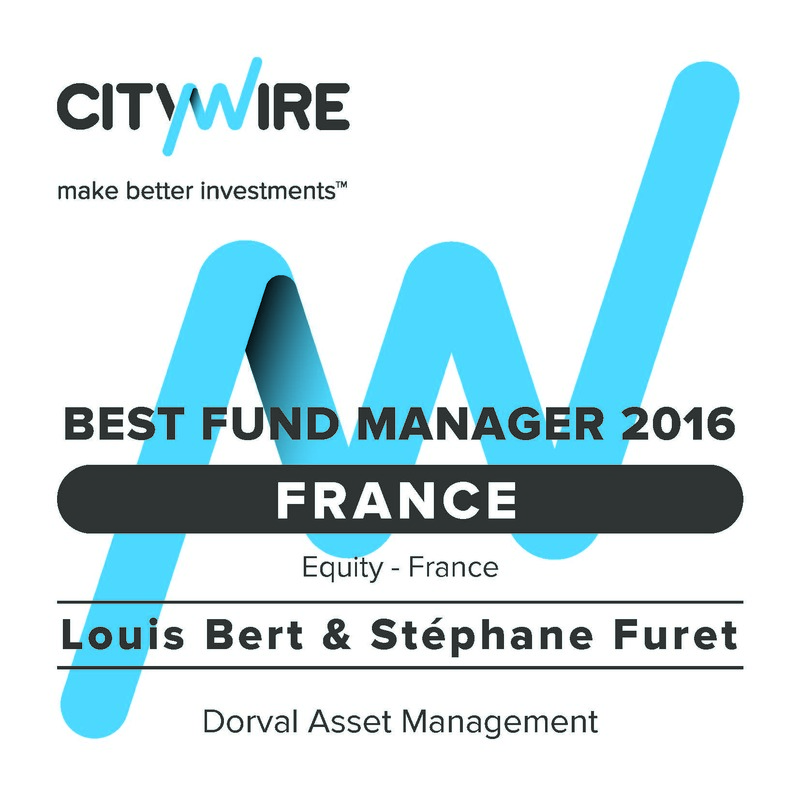 Citywire France Awards 2016 “Best Fund Manager Equities - France over 3 years"
The Dorval Manageurs fund came second in the “Mutual Fund Performance - France” category over five years at the “Grands Prix de la Bourse” organised by BFM Business. Since 2007, the European Funds Trophy have rewarded the best funds and asset management companies in Europe. The awards ceremony is organised by the Fundclass ratings agency and several European media publications; including Le Jeudi and Tageblatt in Luxembourg, La Stampa in Italy, El Pais in Spain and LCI and l’Opinion in France. Fundclass is an independent European ratings agency, dedicated exclusively to accrediting ratings to UCITS commercialised in Europe and the US. The agency attributes a quarterly quantitative rating to funds, aiming to determine their position compared to their peers in the same risk category. Statistical fund analysis is based on arbitrage pricing theory (APT) methodology. The results are then checked by a jury of finance professionals. Funds corresponding to the 5 following risk profiles are analysed: Europe Large Cap; International Large Cap; Emerging Markets; Long Terms Bonds; International Opportunist. The awards are attributed on the basis of risk-adjusted performance over the course of 4 years. This year, the Dorval Manageurs fund won the UCITS France Performance Prize over five years through 31/12/2016. The award is determined by a jury of journalists from BFM BUSINESS who follow the daily movements of the markets and a finance professional from BOURSE DIRECT. The prize recognises a collective management product that invests in French equities and has a particularly strong performance. The winning UCITS must have assets over €50 million, a diversified portfolio and be eligible for at least 5 life insurance contracts. The BFM Business “Grands Prix de la Bourse” weigh performance at 1 year (50% of the rating), 3 years (30% of the rating) and 5 years (20% of the rating). Performance is counted until 31 December 2016. Stéphane Furet, CEO of Dorval Asset Management said: The award recognises the robustness of a specific management process that we have developed over 12 years at Dorval Asset Management. It is a stock selection that aims to retain only the best manager-company pairings according to our own criteria. Dorval Asset Management was once again recognised for their quality management during the 17th AGEFI Asset Management Grand Prix awards ceremony, held on 1 December 2016. The Dorval Convictions PEA fund, which won 2nd place in the European diversified funds category with an alpha of 4.57%, has greatly outperformed other funds in the “European diversified funds (including the Eurozone)” category. In this AGEFI ranking, the alpha measures the outperformance of the portfolio, compared to its theoretical performance as determined by its reference index. The alpha can measure a manager's ability to create value for clients by being able to find the equities that bring in more than they are expected to, given their risk over a given period. The higher the alpha, the better the fund's performance is. Once again, this award recognises the robustness of the management process developed by the Dorval Asset Management team. 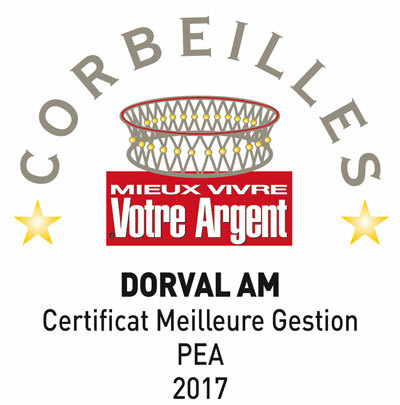 Created on 31 December 2008, "Dorval Convictions PEA" is the PEA (French Savings Plan) offshoot of the flexible "Dorval Convictions" fund. Dorval Convictions PEA is a flexible fund that can invest anywhere from 0% to 100 % of its capital in European equities according to the fund managers' economic and financial predictions. Allocation is adjusted daily to exploit the dynamic performance of equities in the world's leading economic region. The management team uses investment themes identical to those of the "Dorval Convictions" fund, but their weighting can be different. Their flexible and aggressive approach to the investment rate aims to adapt to financial market fluctuations, whether on the upside or downside, while also providing the tax benefits of an equity savings plan (PEA). The asymmetric performance of the fund demonstrates the managers’ ability to manage phases of falling markets, such as during the aftermath of Brexit, with also benefiting from periods of recovery. In the current buoyant global economic context, the investment rate remains relatively high at 77% in November 2016. Nevertheless, the management team of Louis Bert and Stéphane Furet still remains focused on the political climate in Europe, as well as changes to long-term interest rates, as a hike could weaken the market performance of certain defensive sectors (everyday consumer goods, growth stocks) and help other sectors such as financials. Furthermore, the fall of the dollar creates opportunities for companies that are sensitive to US currency fluctuations. Since its creation, "Dorval Convictions PEA" has recorded a performance of 69.2% compared to a rise of 25.4% for its benchmark index, and 38.7% for the Euro Stoxx 50, which represents the European equity market (figures as at 28 November 2016). Over 5 years, the completely flexible fund, which ranges from 0 to 100% investment in equities, posted an annualised performance of 8.9% with a volatility of 11.1%. This fund is classified as "category 5". This level reflects the discretionary management approach taken by Dorval Asset Management, which combines equity investments based on the convictions of teams of fund managers and analysts with investments in interest rate products. These can account for up to 100% of net assets. (*) Data used for the Agefi Asset Management Grand Prix awards was calculated during the period of 28 June 2013 to 24 June 2016. The funds analysed must be a minimum of three years old with weekly, bi-weekly or daily valuations. The returns must demonstrate continuity (no more than two missing asset values). Additionally, the funds must not have changed categories during the period and must show net assets equal to or greater than €15 million. Awards are given out in 15 categories: 10 Equities categories, 3 Bonds categories and 2 Diversified categories. Stéphane Furet and Louis Bert, the Dorval Manageurs management team, win first prize as “Best Fund Manager Equities - France” over 3 years. Citywire also recognised their individual performances, as both Stéphane Furet and Louis Bert are rated “AA”. The Citywire Best Fund Manager Awards recognise managers whose funds are registered in France and have consistently posted the best risk-adjusted performances over the last three years (until 31 July 2016). Managers are evaluated on both their individual track record and the record of the funds they managed in an investment sector during that time. The purely quantitative approach ensures an independent, transparent analysis. Citywire only includes strategies that are sold in France in order to identify the best talent available to French investors. Dorval Asset Management was nominated in three categories: Best Fund Manager Equities - Europe, Best Fund Manager Equities - France and Best Management Team for French equities. The ratings agency recognised the management quality of Dorval Asset Management for French and European equities, as well as the individual performances of managers Stéphane Furet and Louis Bert. For more than 10 years, Stéphane Furet and Louis Bert have applied their stockpicking expertise in French equities to the DORVAL MANAGEURS fund in order to select the best manager-company pairings that are capable of making a difference in the long-term. They have done so by favouring "the search for a nice asset, at a good price and above all well-managed...". Over the 3-year period (*), the fund delivered a performance of 44.6% i.e. 13.1% annualised, largely outperforming its benchmark, the CAC 40 Gross Total Return index (performance of CAC40 DNR 19.5% i.e. 6.1% annualised), thanks to the active management of investment themes and choosing the best manager-company pairings. (*) 3-year period: from 31/07/2013 to 31/07/2016. This award was conferred by a jury of finance journalists and professionals. 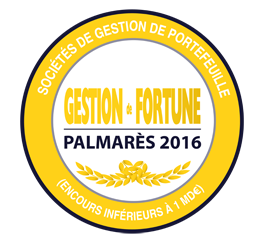 First place in the category “portfolio management company (assets under management of less than 1 billion euros)” at the 23rd “Palmarès de Gestion de Fortune” asset management awards. Dorval Asset Management remporte le prix « Champion de la gestion actions France » décerné par la Rédaction d’Investir lors de la cérémonie « Les Champions de la Bourse ». Depuis quinze ans, le média Investir dresse le palmarès des « Champions de la Bourse » sur trois périodes : 3, 5 et 10 ans. 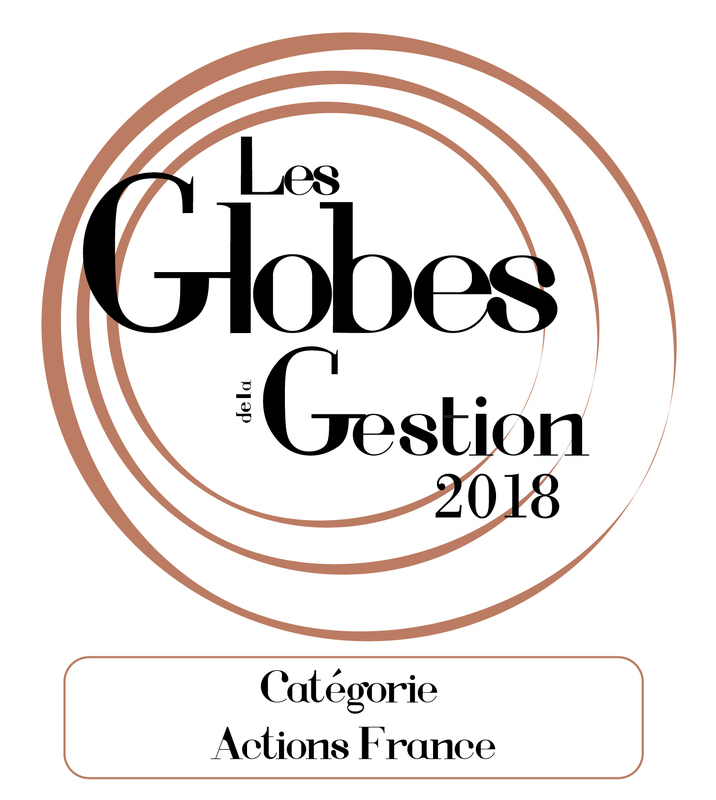 le mardi 19 juin s’est tenue l’édition 2018 des « Champions de la Bourse décernant 8 Prix à destination des sociétés cotées et 3 Prix pour la gestion d'actifs. 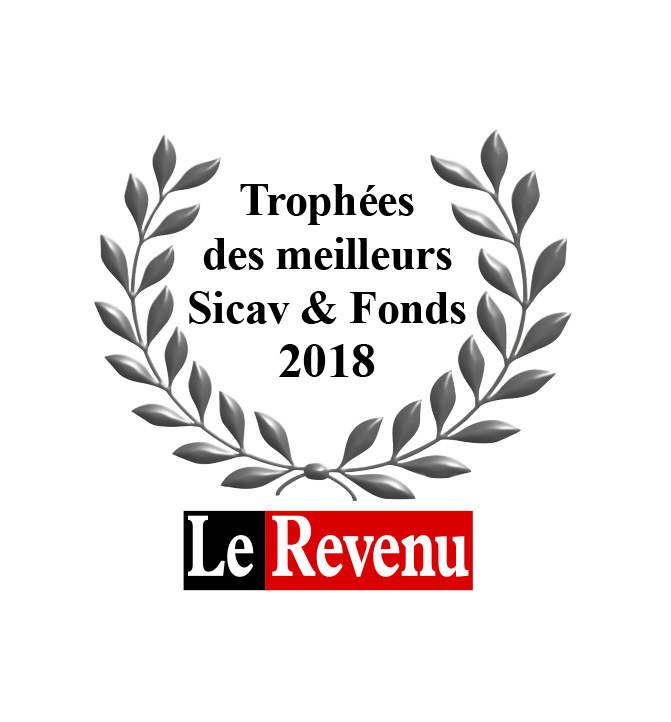 For the 1st time, Dorval Asset Management, an affiliate of Natixis Investment Managers, has received two awards during the thirty-second edition of the Trophées du Revenu of the best sicav and funds. Pour la 1ere fois, Dorval Asset Management, un affilié de Natixis Investment Managers, a reçu deux récompenses lors de la 32e édition des Trophées du Revenu des meilleurs sicav et fonds. Granted by independent financial advisors. Louis Bert, Directeur général délégué en charge des gestions de Dorval AM, ajoute : « En un peu plus d’une décennie, notre équipe de gestion a su imposer sa marque et son leadership sur la gestion actions en France. Je me réjouis que notre positionnement soit de nouveau récompensé sur une période longue, démontrant notre capacité à apporter de la valeur au patrimoine confié à nos équipes par nos clients institutionnels et privés ». 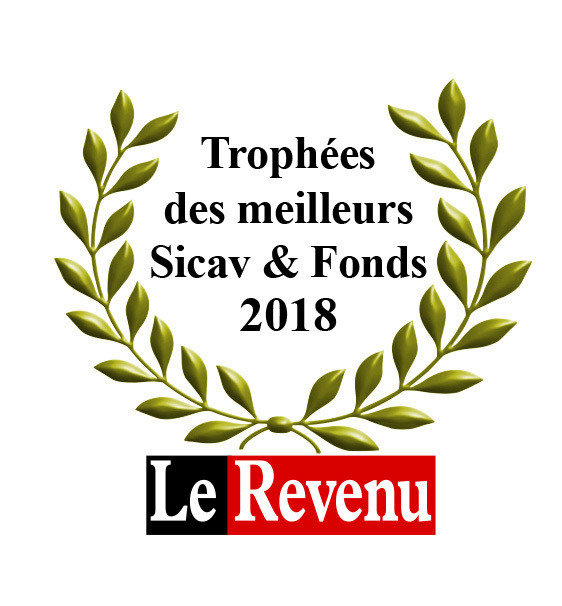 For the thirty-second edition of the Trophées du Revenu, which excludes tracker funds (ETF), guaranteed funds and money market funds, the jury has analyzed with Morningstar the 10,500 unique funds approved by the AMF and marketed in France. The prize and the variations were established on 31 March 2018. ➜ At the conclusion of the selection process, a total of thirty-six trophies were awarded. The rankings are structured in two great parts: Eighteen trophies were rewarded for the best institutions according to their category (network bank of more than 100 agencies, insurers, specialized investment management companies), for the quality of their fund range, over three years, in the main categories (equity, bonds, diversified). A global performance grade then enabled the designation of the three Grands Trophées d’Or on the full range of products. Furthermore, eighteen Trophées were awarded to individual funds, ranked over three and ten years among all types of institutions. ➜ The Trophées are destined to facilitate the investment choice for the greatest number of investors. The fund shares must therefore be accessible to individuals. ➜ The ranking is determined by a grade attributed to each fund which corresponds to the outperformance of this fund compared to the money market rate of return, divided by the volatility of the fund on the reporting period («Sharpe ratio»). The average of these ratios creates the rating for each fund range over three years. Pour la 32e édition des Trophées du Revenu, qui excluent les trackers (ETF), les fonds à garantie et les monétaires, le jury a analysé avec Morningstar les 10500 fonds uniques agréés par l’AMF et commercialisés en France. Les cours et variations ont été arrêtés au 31mars 2018. ➜ À l’issue de notre processus de sélection, 36 Trophées ont été attribués au total. Le palmarès est structuré en deux grandes parties : 18 Trophées récompensent les meilleurs établissements selon leur catégorie (banques à réseau de plus de 100 agences, assureurs, sociétés de gestion spécialisées), pour la qualité de leur gamme de fonds sur trois ans dans les principales familles (actions, obligations, diversifiés). Une note sur la performance globale permet ensuite de désigner les trois Grands Trophées d’Or sur l’ensemble de ces gammes. Par ailleurs, 18 Trophées priment les fonds individuels, notés sur trois et dix ans qui sont décernés à tous les types d’établissements. ➜ Les Trophées sont destinés à faciliter les choix de placements du plus grand nombre. Les parts de fonds doivent donc être accessibles aux particuliers. ➜ Le classement est déterminé par une note attribuée à chaque fonds qui correspond à la surperformance de ce fonds par rapport au rendement du monétaire, divisée par la volatilité du fonds sur la période considérée ( «ratio de Sharpe»). La moyenne de ces ratios permet d’attribuer une note à chaque gamme de fonds sur trois ans. Dorval Asset Management – un affilié de Natixis Investment Managers - a été élue meilleure société de gestion européenne dans la catégorie des 8-15 fonds notés pour la 2ème année consécutive, au cours de la 12ème édition des European Funds Trophy 2018 décernés par Fundclass et un groupe de médias européens. La cérémonie, présidée par Monsieur Pierre Gramegna, Ministre des Finances du Luxembourg, s’est déroulée le 8 Mars 2018 à l’Automobile Club de France. Les « Corbeilles », créées par le Magazine Mieux Vivre Votre Argent en 1986, distinguent chaque année les meilleurs établissements financiers pour leur gamme de fonds. Parallèlement aux Corbeilles récompensant les gammes des grandes banques et des filiales bancaires des assureurs, les « Corbeilles Sociétés de gestion » priment la gestion de tous les acteurs de la gestion d’actifs. Sont ainsi pris en compte 2500 fonds, sélectionnés en fonction de leur facilité d’accès pour les épargnants et donc disponibles sur les grandes plateformes de distribution en ligne, ou référencés dans les contrats d’assurance-vie de la plateforme Axa Théma, auxquels s’ajoutent les fonds disponibles dans les réseaux et notés au titre de la Corbeille d’Or et la Corbeille Long Terme. Les fonds sont classés en 22 catégories disposant d’au moins 23 fonds, et sont évalués sur une période d’un an et de 5 ans. Pour concourir, une société de gestion doit disposer d’au moins quatre fonds dans la catégorie retenue. Les catégories gestion Actions, PEA et diversifiés donnent lieu à la remise d’un Prix de la meilleure gestion sur un ou 5 ans. First established in 1993, Dorval Asset Management is a renowned management company specialising in flexible strategies and European equities. We focus particularly on long-term performance. Our team of portfolio managers decodes the underlying trends and adapts its investment processes in order to navigate stock market cycles with confidence while preserving the capital invested. Dorval Finance was initially a management company specialising in wealth management for individual investors. The goal was to develop the basics of an original, conviction-based management approach based on listening and seeking performance over the long term. Dorval Finance developed an asset management business and launched a range of funds designed to preserve and grow capital. Louis Bert introduced the concept of flexible management at Dorval Finance with his conviction that, in today's financial world, a flexible approach is needed to provide high-quality wealth management. Keyword: "weather the crisis". The Dorval Convictions fund made full use of its flexibility during this period, with the level of equity investments fluctuating between 3% at the time of the Lehman collapse and 73% during the year. This wealth management approach made it possible to limit capital losses when the markets were falling steeply, in order to be in a better position to bounce back when the markets recovered in 2009. Also in 2009, Sophie Chauvellier brought her flexible international abilities to the team. Dorval Finance hired economist Gustavo Horenstein, a true strategist in the financial markets and specialist in asset allocation, and tasked Eric Frenois with developing the wealth management offer. Aware that a conviction-based management approach requires lucid and informed observation of economic and stock market cycles, Hervé Guez joined Mathilde Guillemot and Julien Goujon as financial analyst. After six years of fruitful collaboration, Natixis Asset Management increased its stake in Dorval Finance's capital from 25% to 50.1% on 9 September 2014. Aiming to increase assets under management from 500 million to 1 billion by 2017, Dorval Finance could then utilise Natixis Global Asset Management's global distribution platform and BPCE Group's French networks. As Dorval AM speeds up its global deployment, the Dorval Convictions and Dorval Manageurs Europe funds are referenced for marketing in various European countries. Our organisation strives for continual growth in order to offer peace of mind to our clients. A history of people and promises kept. Our values – agility, vision, lucidity and transparency – make up our DNA and help us better understand the world's complexity. Dorval AM recorded in 2017 a net inflow of 1.3 billion euros, such that the assets under management reached 2.5 billion euros on 31 December. June 2018 : The assets under management reach 3 billion euros. February 2019 : Dorval AM signed the Montreal Carbon Pledge Initiative and the Carbon Disclosure Project (CDP). In order to identify the most advanced companies engaged for the climate, and also to publish carbon reports of the European funds. Dorval Asset Management's success is based on the hard work of a team of 25 highly qualified and skilled individuals supporting Louis Bert and Stéphane Furet, the strong duo of director-managers. Our diverse and dynamic team embodies Dorval AM's essential values while cultivating a strong and lasting relationship with its clients. Member of the Investment Committee. Macroeconomic framework and asset allocation. Stéphane Furet graduated from ESLSCA Paris with a specialisation in Corporate Finance and from the Centre de Formation à l’Analyse Financière (CFAF). He is a member of SFAF (Société Française des Analystes Financiers). A well-known portfolio manager, he started his career in 1988 working for stockbroking firms (Rondeleux SA, then Nouailhetas SA), where he sold French equities to institutional clients. In 1991, he joined Oddo & Cie as Senior Manager specialising in consultancy on French and European equities with the Group's institutional client-base. He then joined Dorval Finance in 2004 in order to set up the company's asset management activity and launched 2 equity funds eligible for PEA (French equity savings plans): Dorval Patrimoine in November 2004 then Dorval Manageurs in March 2005. As Chief Executive Officer of Dorval Finance since August 2007, he co-manages the range of equity funds with Louis Bert. Louis Bert is a graduate of ISC Paris and the Centre de Formation à l’Analyse Financière (CFAF), and is a member of SFAF (Société Française des Analystes Financiers). He developed sound management expertise at Crédit Agricole Asset Management, where he was an equity salesman in 1987. A Unit Trust Manager in 1989, he was appointed Director of Equities Management France in 1995 and promoted to Director of Equities Management Europe in 1997. He managed the Atout Futur, Atout France Europe, Dieze (Convertibles) and Atout Foncier (Property) funds. He joined the Oddo & Cie group in 2003 as Director of Equities Management and, simultaneously, Portfolio Manager of the Oddo Génération and Oddo Proactif Europe funds. He joined Dorval Finance as Chairman in August 2007. He co-manages the range of equity funds with Stéphane Furet, Chief Executive Officer. François-Xavier is an experienced market economist who began his career in 1989 at Banque Indosuez on the European bond and forex market desk. He then joined BNP in 1994 as a US bond market analyst and in 1997 moved to Cheuvreux as Chief Economist. He joined Gavekal Research in 2010. François-Xavier is also an economics professor at Sciences-Po and Dauphine University. He joined Dorval Asset Management in early 2016. Sophie Chauvellier holds a master's degree in International Trade and a degree in Chinese. She started her career in 1997 in Hong Kong as buy-side Analyst in a South African bank, INVESTEC. In 2000, she joined Oddo Securities as sell-side equity Analyst and was then appointed fund of funds Portfolio manager in 2005, before joining Dorval Finance in October 2008. Gustavo Horenstein holds a post-graduate research degree in Macroeconomics, modelling and economic situation from Université Paris 1 Panthéon Sorbonne. He started his career in 2000 at ODDO SECURITIES as economist, then in 2006 was appointed Analyst/Manager of diversified management and multi-management at Oddo Asset Management, before joining Dorval Finance in March 2011. He has 10 years' experience in the industry. With Sophie CHAUVELLIER, he co-manages Dorval Global Convictions and Dorval Emerging Market Convictions. Eric FRENOIS is a graduate of the Ecole Supérieure de Commerce de Lyon, holder of a master's degree in Asset Management from the Université de Lyon III and full member of the SFAF. He started his career in 1993 at Société de Banque de l’Orléanais (SBO) as financial adviser for the investment of financial products with a client-base of individual investors. In 1994, he joined CCF at Bordeaux in the wealth management activity and in 1997 was promoted wealth manager at CCF Paris Opéra for high net worth individual clients in support of 9 branches in western Paris. In 2000, he was appointed wealth manager in the stockbroking firm Oddo Pinatton. A founding member of Ethiea Gestion in 2005, he was co-director of European equities management and asset management. He joined Dorval Finance in July 2011. In 1992, Corinne joined Barclays Bank where she developed advisory management services with Barclays Asset Management. This initial experience in the vanguard of wealth management led her to advise investors who expressed their needs for transparency and advice and guidance in managing their portfolios. Ten years later, at Banque du Louvre, Corinne was appointed Head of Equity Market for private investors, before joining Montpensier Finance in 2004, where she honed her skills in diversified investment management and asset allocation, still working with private investors. Since September 2008, Mathilde Guillemot holds a double master 2 degree: "International and Corporate Finance" from the Institut Supérieur du Commerce - ISC Paris and "Risk management in finance and insurance" from the Université de Cergy Pontoise. During her studies, she also specialised in market finance in Taiwan (National Sun Yat Sen University). After a first placement in 2007 at ACMN Vie, subsidiary of Crédit Mutuel Nord Europe, she joined Dorval Finance in April 2008 as portfolio management trainee before being appointed "buy side" Financial Analyst in October 2008. Since March 2011, Julien Goujon holds a master 2 degree: "financial markets" from the IAE in Clermont-Ferrand. After a first placement in 2009 at PROMEPAR GESTION, subsidiary of BRED, he joined Dorval Finance in June 2010 as portfolio management trainee before being appointed buy side Financial Analyst in January 2011. Hervé Guez is a graduate of SFAF and member since 1981. A well-known analyst, he started his career in financial analysis at Banque Rothschild in 1979, then Société Générale in 1982. He was then appointed head of Financial analysis at Schelcher Prince in 1986. In 1990, he joined the stockbroking firm Ferri and became Director, Head Sale European Equities - Smith New Court in 1992. In 1996, he was appointed Head France Team - Merrill Lynch based in London. In 1999, appointed Head European Equities & Institutional Clients France at Schroder / Citigroup France. Hervé joined Dorval Finance in August 2013. Want to share your ideas and discuss flexible management? With recognised experience in flexible management, we have launched a "Flexible Management Club" on LinkedIn. This discussion forum enables different market players to share their ideas and views on flexible asset management, and discuss with one another. Asset allocation, Investment, Stock Picking… Whatever subject is addressed, we will use this group to try to provide investors with an overall vision of and pragmatic approach to flexible management. Please don't hesitate to join our group and add to our discussions. Dorval Asset Management and mountain biking, a story of commitment. Dorval Asset Management’s history in high-performance mountain biking began in 2013 as the ROC VTT OZ EN OISANS club looked for a sponsor for a few racers (Trial and Downhill) of the club which boasted an impressive track record. Dorval AM believed then in the future of this discipline which was in full development and launched its project of international Team. Dorval AM has today the ambition to increase its presence in the circuit and has composed its own elite Team in the areas of downhill mountain biking and trials mountain biking. The winner of trials mountain bike racing must get over natural or artificial obstacles in a zone and a particular time frame without using any other support than the tires. It is awe-inspiring! As to the downhill mountain biking, the goal is to descend the slope within the shortest time possible. The winner must demonstrate commitment, agility and possess a finely-honed sense of steering to face the different natural obstacles encountered during the downhill ride. It is as awe-inspiring! - For the Dorval AM Mountain Bike Downhill Team, Mariana Salazar won the Pan-American Women’s Downhill champion title; Benoît Coulanges has reached the 2nd place in the European Championships men’s race; Baptiste Pierron and Emile Rilat were respectively 1st and 2nd in the French Cup overall ranking. - For the Dorval AM Mountain Bike Trial Team, Manon Basseville won the French Women’s Champion title and has reached the 2nd place in the Women’s Trial European Championships and World Championships; German racer Dominik Oswald won the German Men’s Champion title and was ranked No.3 in the Men’s Trial European Championships and World Championships; and finally French racer Noah Cardona was ranked No.9 in the World Championships in Chengdu in 2018. Results for the Dorval AM Mountain Bike Downhill Team in 2018: No.3 team in the French Cup and No.20 in the World Cup Team ranking. Results for Dorval AM Mountain Bike Trial Team in 2018: No.1 in the Trial Team ranking in the French Cup and French Championships. Mountain Bike Downhill Team achieved UCI Elite status for the first time in 2019 and will be present across all World Cups, European Championships and French Championships this year. Our goal for 2019 is to carry off a world champion title in both disciplines and finish in the Top 5 teams worldwide in 2019. New for 2019: Monika Hrastnik, winner of the European Championships women’s race in 2018, and Baptiste Pierron have joined the Dorval AM Competition Mountain Bike Downhill Team, and Clément Méot, No.3 in the French Championships, joins the Dorval AM Trial Competition Team. Mountain biking brings unique moments of sharing and performance! Dorval AM by organizing many events internally, allows its collaborators and clients to accompany the racers during major competitions or to attend special events with the TEAM Dorval AM. It’s an occasion to share the experience with all the members of the team and to go behind the scenes as we watch them prepare for competition. Dorval AM believes in the future of mountain biking, and through this innovating partnership, the investment management company continues to invest as it has always done with its investment funds: providing its team of young champions with all the necessary means for success. Support our racers and follow them on the social networks!